I have interviewed dozens of female politicians in my time, and the thing that stands out is how different they are from other women. In that one respect they are just like male politicians who, when you meet them, come across as a race apart from ordinary mortals. First and foremost, they are doers. There’s none of that second-guessing, procrastinating, or introspection that holds the rest of us back. Obstacles only make them try harder. To a woman (or man) they radiate a special combination of ego and energy that seems to propel them faster and higher than everyone else. In the United States, there is no better example of this all-conquering breed than Nancy Pelosi, the Democratic Leader of the House of Representatives, the first female Speaker of the House and the highest-ranking political woman in American history. As she strides towards my table in the restaurant of the Regency Hotel in Manhattan, immaculately presented in powder blue, smile at the ready, it is like being drawn into a powerful tractor beam. When she speaks she’s so loud and full of purpose, it’s mesmerizing. Despite her slight stature, Pelosi has a diaphragm that could hit you at a thousand paces. Nor do I know many septuagenarians that are as plugged in to popular culture as she is. Though Pelosi denies having the slightest idea about any of the celebrities featured in the glossies (“Who’s Brad? Who’s Jessica, I mean Angelina?” she jokes), the list of Hollywood actors – like Ben Affleck and his wife Jennifer Garner – who have made pilgrimages to her office is impressive. It’s safe to say that she probably knows everyone who is anyone in America – but on a business level rather than the ‘I schmooze, you schmooze; let’s do the glitzy gala circuit rumba’ kind of way. It’s only when she talks about her five children and nine grandchildren, do you realize that – after Queen Elizabeth II – Pelosi must be the world’s most powerful grandmother. She is certainly the most effective; just ask any of her party’s Democratic members of Congress how often they’ve tried to rebel during her 13-year leadership. Supporting that megawatt charm of hers are kitten heels of steel. When I last spoke with Pelosi it was 2013 and she was in a triumphant mood, having helped orchestrate the highest ever intake of Democratic congresswomen. For the 113th Congress there were 98 female members out of 535, two thirds of them House Democrats. Back then, Pelosi had plans. She and the sisterhood were going to change the way Congress operates. Unfortunately, the 2014 Congressional elections resulted in the Republicans gaining their biggest House majority since 1928, leaving those plans to gather dust on the shelf. But it won’t come as a surprise to hear that Pelosi betrays no hint of anxiety about the Democrats’ precarious chances for 2016. Once we start talking about politics there’s no stopping her. She is like one of those tanks that can only GO forward. ON THE OTHER HAND, PELOSI MAY BE professionally driven and focused but she isn’t a machine. She claims to do no exercise at all (unlike the rest of her family, “it’s the air that they breathe,” she says), but she does admit to getting up very early: “I’m one of those people that hoots with the owl”. She goes for early morning strolls making work calls as she walks. “So I’m not wasting time,” she explains. Her aids probably have to trot to keep up with her. They adore Pelosi though, and some of them have been working for her for years. She demands excellence, but then she drives herself hard, too. Part of her lack of interest in shopping is that she is too busy to think about anything outside of work. “My kids keep saying, ‘You should have somebody [a stylist] to help you. Anyone else would have somebody help them. You travel so much.’” But it’s just a pipe dream. Instead, Pelosi relies on systems that half-help, half-hinder her and turn her constant traveling into an ongoing nightmare of logistics. DOES SHE THINK WOMEN OF HER ILK ARE MADE OR BORN? FROM HER GRIMACE, I SUSPECT SHE HAS BEEN ASKED THIS QUESTION MANY, MANY TIMES. STILL, IT’S A FAIR ONE. Pelosi comes from a political family – she attended her first Democratic National Convention when she was 12. There’s a famous photograph of her, aged 17, looking fetching in a taffeta dress, standing next to then Senator John F. Kennedy at the United Nations Association of Maryland dinner in Baltimore. Her father, Thomas D’Alesandro Jr., was the son of Italian immigrants. He started out selling insurance before moving into politics. He served four terms in Congress and ended up as the longtime Mayor of Baltimore. Pelosi was brought up in the city’s tight-knit Italian Catholic community where almost everyone was related by blood or marriage. Home life was dominated by five older brothers. “In trying to contain me,” she says, “they toughened me up”. “Big Tommy”, as her father was known, allegedly kept a ledger of every political transaction, no matter how small, for use come election day. He was a political fixer with a strong moral backbone – a description that could just as easily be used for Pelosi. Yet her transition from “little Nancy” to the number three spot in US politics – behind the President and Vice President – was hardly straightforward; and it’s important to remember that she started out in life as a capable but dutiful Catholic bride. Pelosi didn’t become a politician until she was 47. At Trinity, a small Catholic college in Washington, she met Paul Pelosi, an ambitious student from San Francisco who was studying at the Jesuit-RUN Georgetown University. They married in 1963, a year after she graduated. Her ambition to go to law school was derailed by the arrival of their first child. Pelosi was, in fact, doing quite a lot (all of it unpaid and behind the scenes), as a volunteer for the California Democratic Party, which she would ultimately end up running as its first woman chairman. 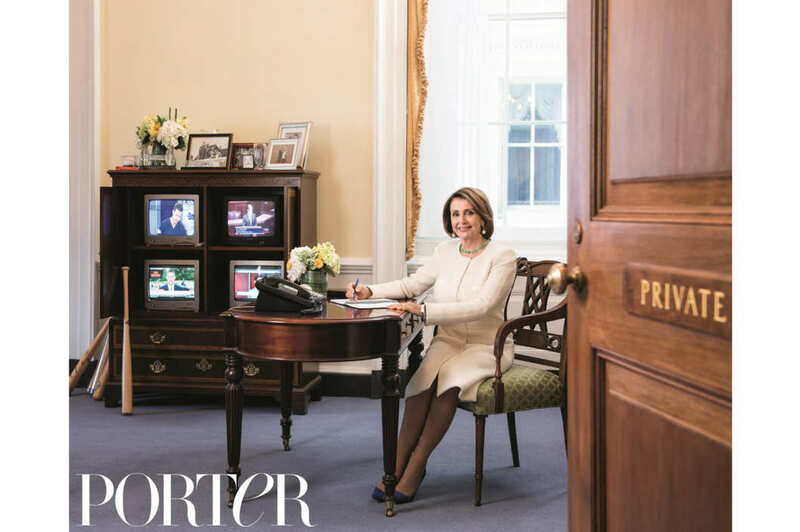 Notwithstanding the challenges of motherhood, as well as running a large house in the upmarket Presidio Terrace district, Pelosi soon made herself indispensable to the Democrats as a quiet but efficient fixer. She became the go-to hostess for fundraisers, meet-and-greets, and networking events. When Governor Jerry Brown (a high school friend of her husband’s), ran against Jimmy Carter for the Democratic presidential nomination in 1976, he asked the couple to help him secure Maryland. Pelosi, who was 36 at the time and had just sent her youngest child to kindergarten, offered to run the campaign herself. Pelosi won her San Francisco seat in Congress in 1987, after a particularly vicious by-election. The rolling hills of San Francisco may seem a world away from the gritty streets of Baltimore, but beneath the surface they share many similarities – not least in the religious and ethnic diversity of their constituents. Pelosi was attacked every which way, but what rankled, according to friends, were the accusations that she was a rich dilettante looking for a new place to shine. 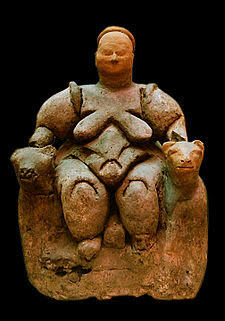 She arrived in Washington determined to prove her detractors wrong. As a Democrat, Paul Pelosi’s money was potentially the more toxic of the black marks against her. Indeed, over the years, the Pelosi wealth has been the subject of considerable interest – and some carping. But Congress members are only required to disclose the widest possible range of their personal fortunes. According to Bloomberg, the Pelosis are known to have somewhere between $42 and $200 million in assets. Even if it’s the lower number, it still puts her near the top of the Congressional “rich list”. When I query Pelosi about her fortune she looks stunned, as if this isn’t a question often asked to her face. “I don’t have that much wealth,” she shoots back, which suggests she may have spent too much time among the nearby denizens of Silicon Valley. Ironically, Pelosi’s particular brand of liberal politics was also a potential stumbling block. Her views haven’t changed in nearly three decades, and if they seem mainstream now, back then – considering her own socially conservative Catholic background – they were jaw-droppingly radical. She is and has always been a fervent supporter of the right to abortion, women’s equality, LGBT rights, the environment, gun control, and even legalizing marijuana (for medicinal use). When she talks about her stance on abortion, it is with a great deal of sensitivity towards those, including members of her own family, whose personal beliefs are opposed to hers. When fighting on the floor, however, Pelosi has never given an inch over women’s reproductive rights even when other members have referred to her as “the whore of the House”. That was in the 1980s, when in 1987 there were just 22 women to 413 men in the House. Americans might have loved the idea of Joan Collins playing the take-no-prisoners Alexis Carrington on Dynasty, but they weren’t quite ready for a real woman to do the same in Washington. Pelosi was one of the earliest advocates of HIV/AIDS sufferers. “My first comments on the floor of the House, were about fighting HIV/AIDS,” she says. “People said, ‘Why would you want to be known for that? Your first words on the floor of the House.’ ‘Well,’ I said, ‘why are you even saying that to me? People are dying.’” But behind her combative public stance was a genius for working the corridors of power, which she’d learned from her father. She climbed the ranks, moving up from one House Committee to the next, working harder and longer than her colleagues. More important, was her astounding ability to fundraise on behalf of the party: a staggering $400 million to date, far outstripping the efforts of her rivals. Armed with one of the safest seats in the country, Pelosi could direct all her energies to helping others. Pelosi’s ability to raise money was one of the reasons her fellow House Democrats elected her leader in a secret ballot in 2002. But the other is based on her formidable skills as a party politician. Pelosi claims to have her members’ support because she has no secret agenda: “I’m a legislator, my commitment is there. I’m working with great people, and that’s part of my, shall we say, salesmanship about who’s running our political operation, who’s running our messaging operation, who’s doing these things, and showcasing what our resources are.” The truth is more complicated of course. Whether in or out of power, Pelosi has run the House Democrats like the praetorian guard, expecting and receiving near total loyalty. In June 2009 when President Barack Obama was facing certain defeat in the House over his Clean Energy Bill, Pelosi stepped forward and, in a performance worthy of the TV political series House of Cards, strong-armed, cajoled, and bargained her way into getting the necessary votes. Without her, the Administration would have been humiliated. A year later, Obama needed her again, this time to maneuver his revolutionary but controversial health care bill (The Affordable Health Care Act) past stiff opposition. With the next election cycle looming, Democrats were running scared. Pelosi went all out, resorting to a scorched earth policy to get the votes. In the end the Bill squeaked through with a majority of seven. But all this chatter about Clinton’s prospects for 2016 doesn’t mean that Pelosi lacks ambition for herself. She wants to have a role in international politics, even if her forays into foreign policy haven’t always been successful. Criticized in 2007 for interfering with the Bush Administration’s containment strategy of Syria, nowadays Pelosi is careful to stay in line with the White House. But the mask slips slightly when I ask her whether she could imagine the U.S. sending troops to fight ISIS. “No,” she says categorically. “I don’t see it.” Pelosi voted against the Iraq War, and it appears as though she regards any sort of combat operation as beyond America’s purview, regardless of any future White House requests from Congress for military authorization in the Middle East. Her stance will disappoint America’s international allies who fear that the world is a more dangerous place without US leadership. But it’s a popular one among Pelosi’s liberal base – and true to her values. It’s not often that I want to drink coffee and hang out with a politician. But when it’s time for Pelosi to leave I feel an odd sense of deflation. She is so much fun to talk to; her optimism is infectious, especially when she discusses her hopes for women. “We have this crusade,” she says. “When women succeed, America succeeds. Because it’s true.” Yes, I think, sign me up. I guess I’ve just had a dose of her secret sauce. Intelligence Squared: What Next for Feminism? Podcast – Intelligence Squared: What Next for Feminism?